Well, my crafty mojo seems to be coming back to me! Yay! 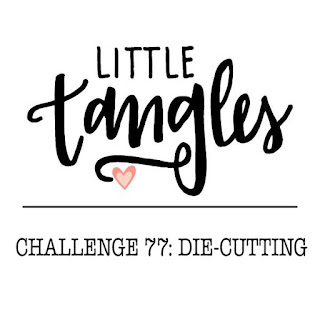 :) With that being said, I made a card for the current Little Tangles Challenge. This is a really awesomely designed card! 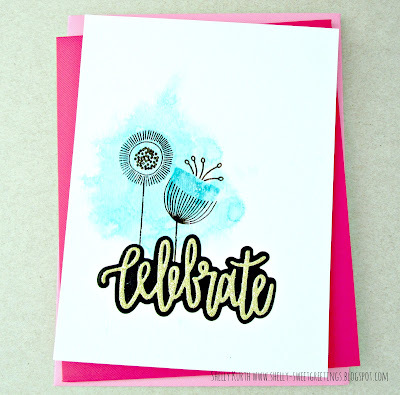 Love this simply design with a splash of watercolor! Gorgeous CAS design Shelly and the watercolouring in that beautiful blue is a perfect backdrop for your flowers. And I'm so jealous, I so want that 'celebrate' die!! So happy to see you at Little Tangles!! I must say, this is one fabulous card! So eye-catching!! 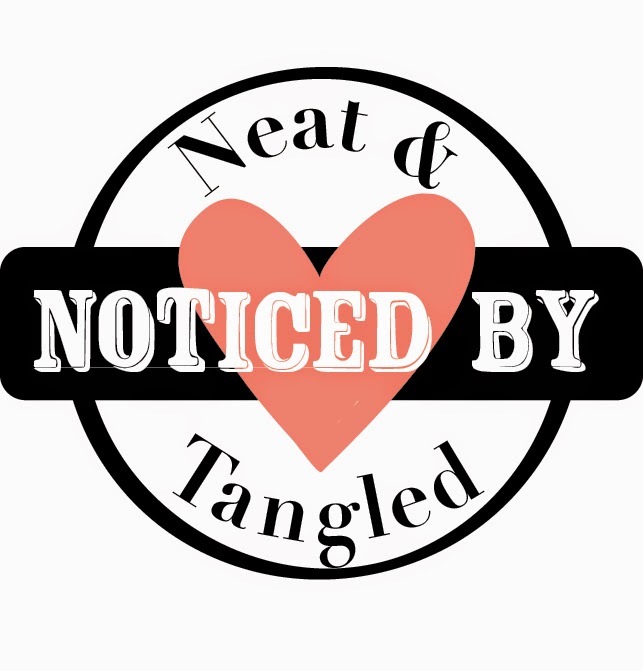 Thank you so much for joining us at Little Tangles, Shelly!